For Women's History Month, we're taking a look at some of the ways that American women have made their place in the marketplace by participating in business and consumption. Brownie Wise was not only a rare female executive in the 1950s, but she also developed a sales plan for Tupperware that allowed men and women across the country to make money marketing and selling the new plastic products from their own homes. 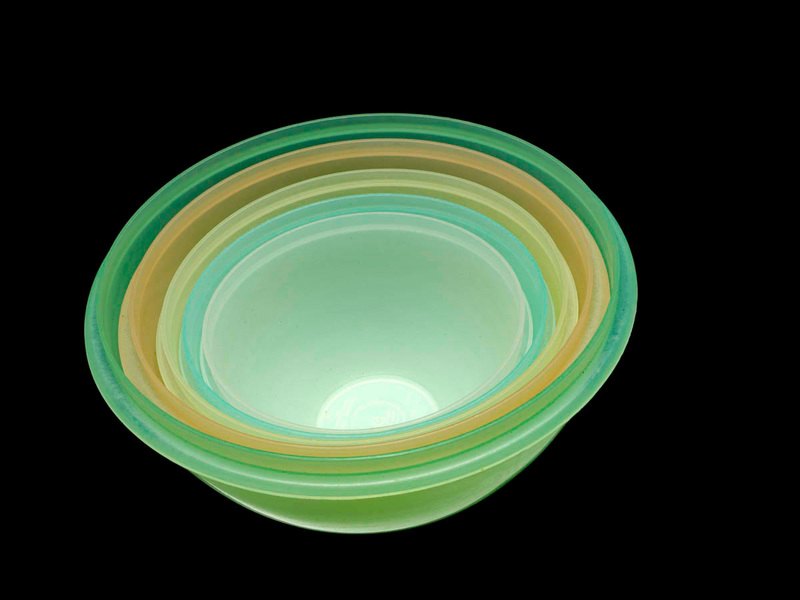 Tupperware objects are on display in two of our new Innovation Wing exhibitions, American Enterprise in the Mars Hall of American Business and the Patrick F. Taylor Foundation Object Project. Since the invention of Tupperware in the late 1940s, Americans have come to rely on its airtight seal to keep leftovers fresh. Earl Tupper's product was an innovation; he purified a waste product of the oil refining process into flexible, translucent plastic containers that were suitable for food storage. 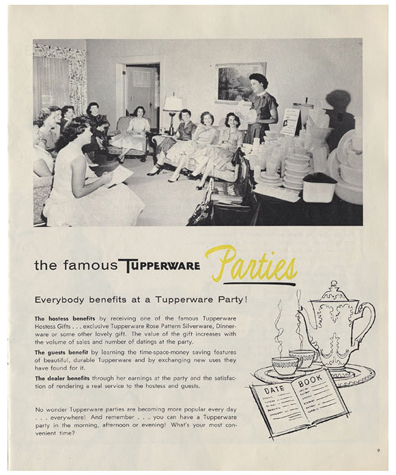 What began as a marketing struggle for Tupper—Americans didn't yet trust plastics, which were known for being smelly and greasy—turned into an opportunity for American women to participate in business, independently making money, forming professional networks, and popularizing Tupperware within their own communities. Ultimately, the solution to Earl Tupper's marketing woes was a new sales strategy spearheaded by a businesswoman named Brownie Wise. After working as a secretary during World War II, Wise and her mother started a direct-selling business in Miami, Florida, called Patio Parties. Their company marketed household goods from a variety of manufacturers, including Poly-T (Tupperware). A shrewd salesperson, Wise believed that home demonstrations were the best way to showcase Tupperware's extensive product line as well as the brand's innovative, resealable container. 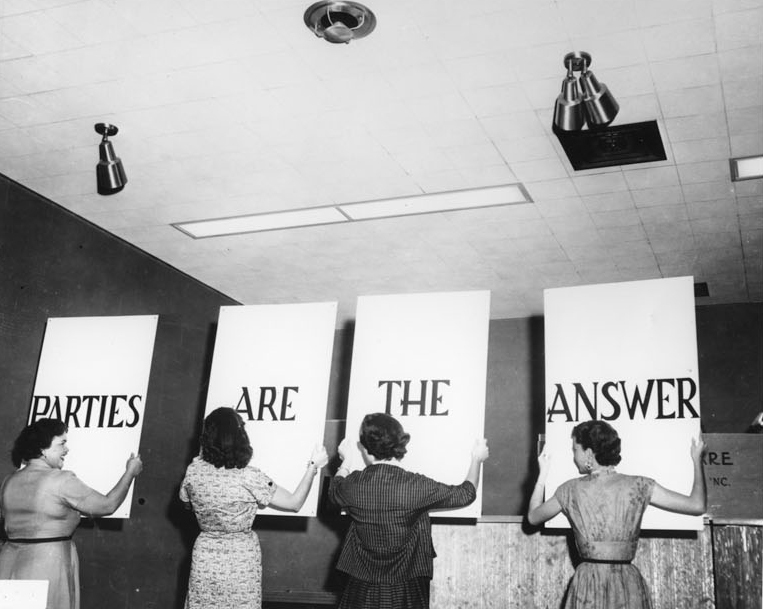 Although she didn't create the home party sales model, Brownie Wise pioneered it for Tupperware and used it to transform the company's reputation. Wise was so successful in selling Tupperware to women in their own homes that Earl Tupper couldn’t help but notice. His company had been struggling to sell its plastic containers off shelves in department stores, so in 1951, he made Wise a vice president of the newly formed Tupperware Home Parties Inc. and put her in charge of developing a large-scale Hostess party plan for the company. The home party model of selling Tupperware gave men and women a new way to start their own businesses, but it was particularly empowering for housewives who didn't already work outside the home in offices, factories, or department stores. They could now make money at home, refining their sales pitches and interacting with other emerging businesswomen. 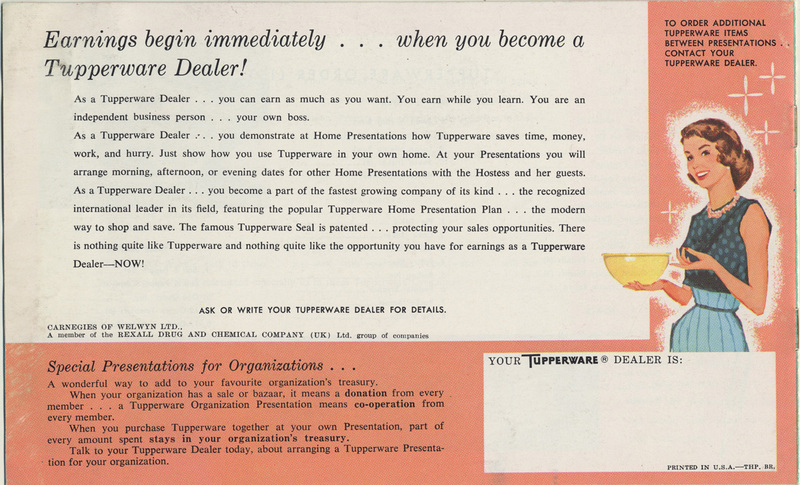 This 1960s advertisment emphasized how women could transform the domestic space of their home into a profit-making enterprise: "Being a Tupperware dealer is a happy business, and one you can conduct either in your spare time or full time. Best of all, it can fill your hours with fun and fellowship—as well as with profit. Would you like to get more fun out of life—and add $40 to $60 a week to your family income? You can do both as a Tupperware dealer." Wise used the home party format to demonstrate the uses and advantages of Tupperware, showing attendees how lightweight yet durable the material was, as well as how to "burp" the airtight seal correctly. 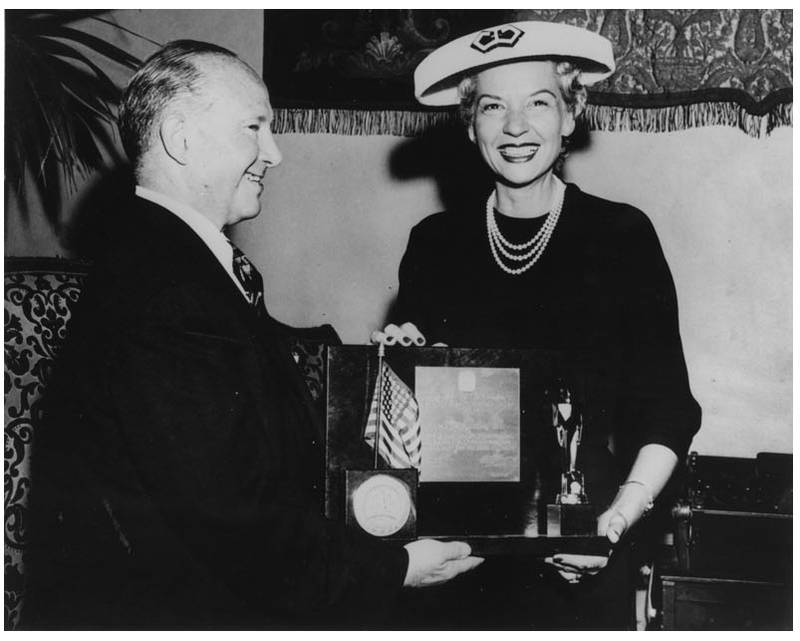 She trained Tupperware saleswomen like herself and established the company's annual Jubilee, a pep rally and awards ceremony for dealers. With several days of festivities, group activities, and sales meetings, the Jubilee encouraged camaraderie and support among burgeoning female entrepreneurs from across the country. 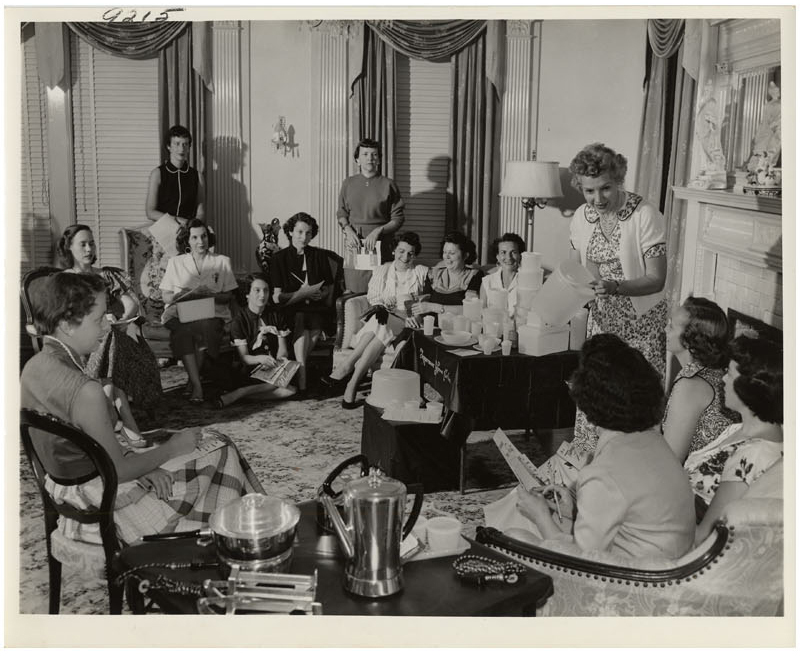 Tupperware's home party sales model offered a generation of men and women a way to grow their confidence as well as their business savvy. 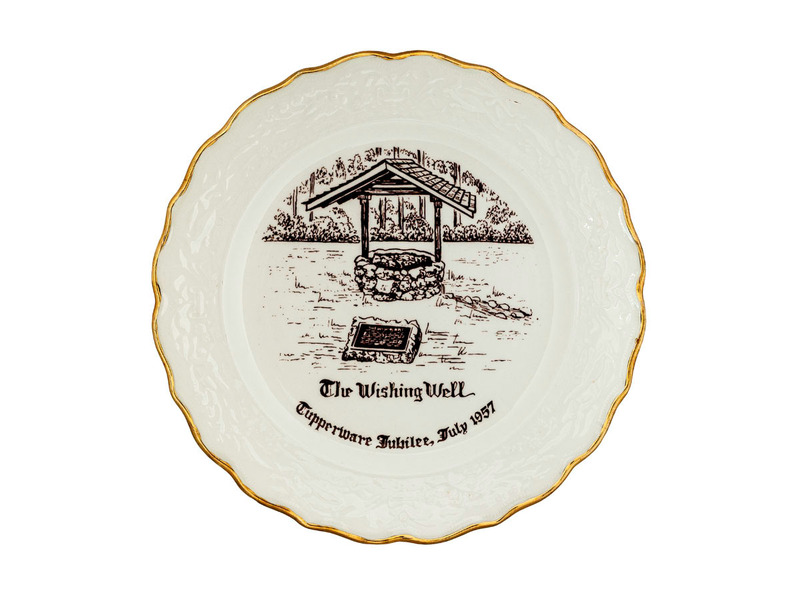 Lorna Boyd, speaking in 2004 about her mother, Sylvia Boyd, a Tupperware dealer in the 1960s, remarked: "Tupperware . . . took those moms out of the kitchen where they were 'supposed to be' and let them enter the workforce, and let them have something outside the home." Jordan Grant is a New Media assistant working with the American Enterprise exhibition. He has also blogged about how board games teach us to shop. Caitlin Kearney is a New Media assistant for the Taylor Foundation Object Project. Previously, she has blogged about mid-century cooking.